We have a new look and a new name, with a stronger than ever push for greater food safety in dairy food production. The Dairy Authority of South Australia has been renamed DAIRYSAFE. With a strengthened emphasis on working with all dairy industry parties, we look forward to collaborating with farmers, processors and government agencies in the promotion of a highly respected and acknowledged food safety culture in South Australia. Recognition of a safe and premium dairy food industry is our aim. 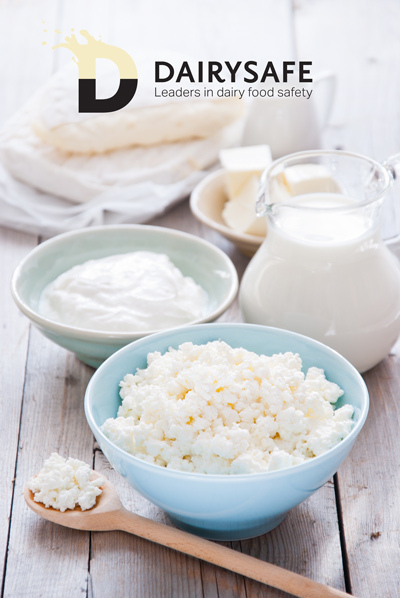 DAIRYSAFE will be your first point of contact and we will help you through the legalities of dairy food safety, providing up to date information on all related matters. We will be pro-active in ensuring our dairy industry has access to the education, training and opportunities for innovation that underpin the State’s export advantages. We will partner with industry participants to provide tools and information to ensure their products meet all dairy food standards. The dairy industry contributes almost $800 million to the South Australian economy, hence our desire to be recognised as a leader in dairy food safety, providing confidence for expansion and innovation for new and existing parties to invest in this industry in this state. Over the coming months, we will be gradually updating our website, introducing new avenues to keep you informed, hold information seminars on topics of relevance for our farmers and processors and take every opportunity to meet face to face with people involved in the dairy industry. The Dairy Authority of South Australia, trading as Dairysafe, is committed to enabling the South Australian dairy community embrace food safety culture. A positive and effective food safety culture involves a focus on continual improvement by all people at all levels in each dairy business. Ensuring safe food practices and the production of wholesome dairy products is a collaborative effort between industry and Dairysafe as the regulator. The role of Dairysafe is to ensure that South Australian dairy products are safe for consumers by ensuring they are produced by an accredited business operating in accordance with an approved food safety arrangement that specifies compliance with Australia’s food safety standards (the Food Standards Australia New Zealand Food Standards Code) at each point in the production process. The Primary Produce Food Safety Schemes Act 2004 and the Primary Produce (Food Safety Schemes) (Dairy) Regulations 2017 provide the legislative foundation from which Dairysafe obtains it powers and functions and is responsible to the South Australian Parliament through the Minister for Primary Industries and Regional Development.